Every night, it crawled to me. It risked life as it climbed the rows of roses. But it did not stop. The frog always arrived in time to bring me something shiny and sing the lullaby. And then, one day, it did not come. 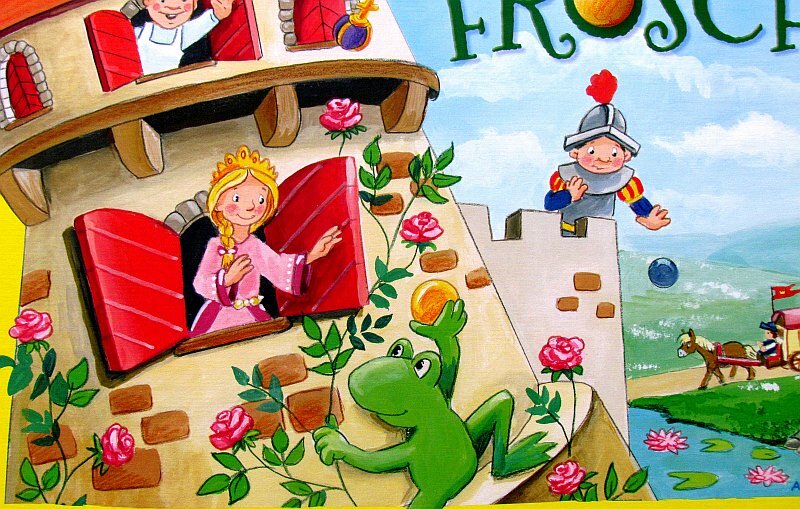 Explore the reasons and help the princess – or the frog? This is task for players in the board game Burg Kletterfrosch, which is available in English under the name Climbing Frog Castle. 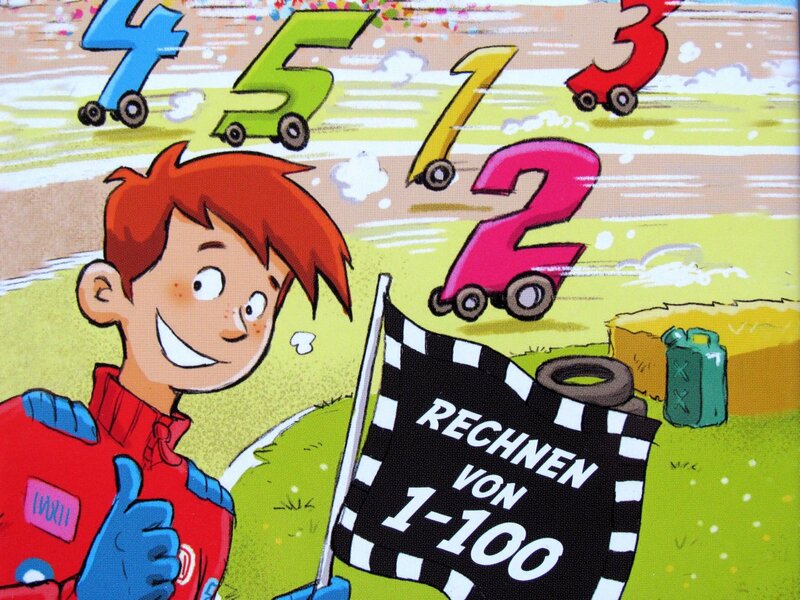 This is a game from HABA and is based on the creative ideas of Gunter Baars and Markus Nikisch. The game got its pictures from pen of Antje Flad. 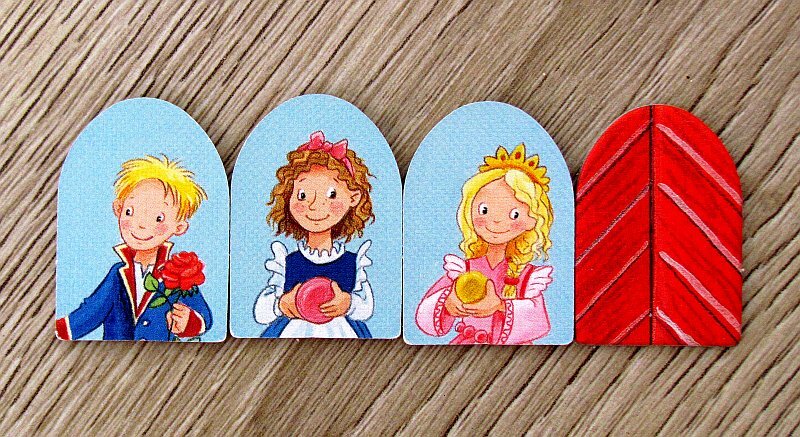 New game belongs to a series of big HABA games alongside our favorite Nacht der Magischen Schatten or Drachenturm and is thus hidden in a monstrous yellow box. 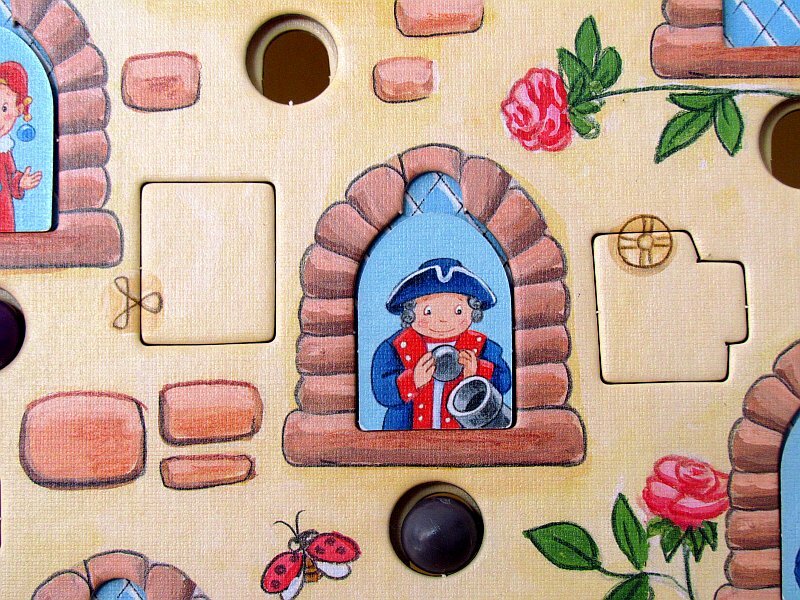 On the lid we can see a tower from which a princess looks out and full of hope searching for the climbing frog. 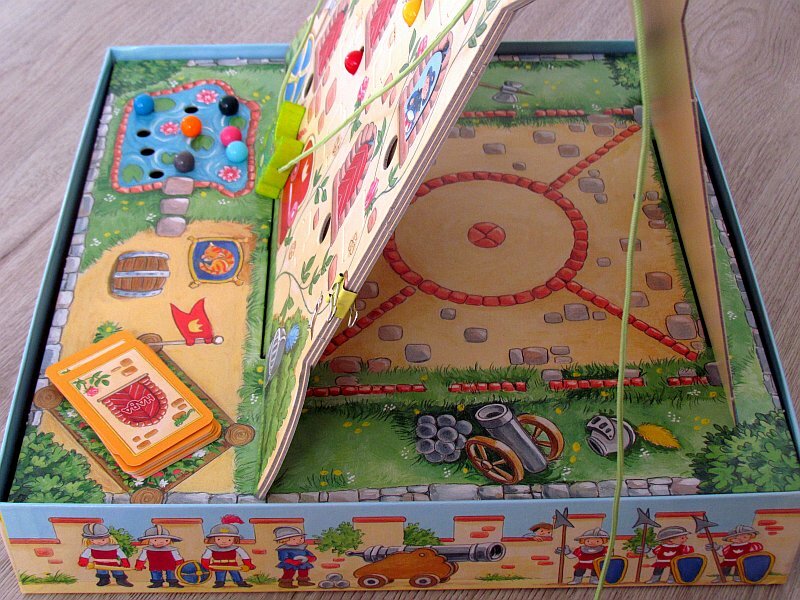 Inside, players will find a cardboard cross. 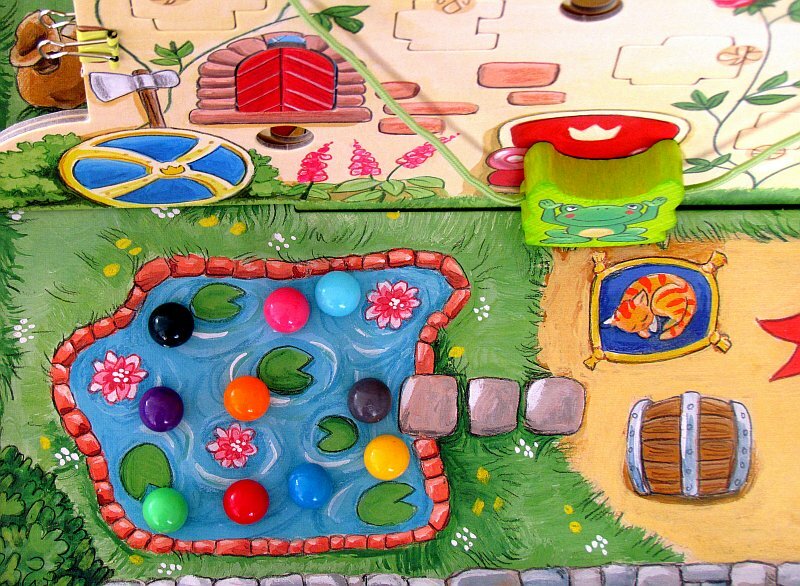 By joining it together, players create a base for a large game board in the bottom of the box. It is square and occupies the exact dimensions of the box. When taken out, players do not have to think too much and simply place it on the support. This will become base of the whole game area. 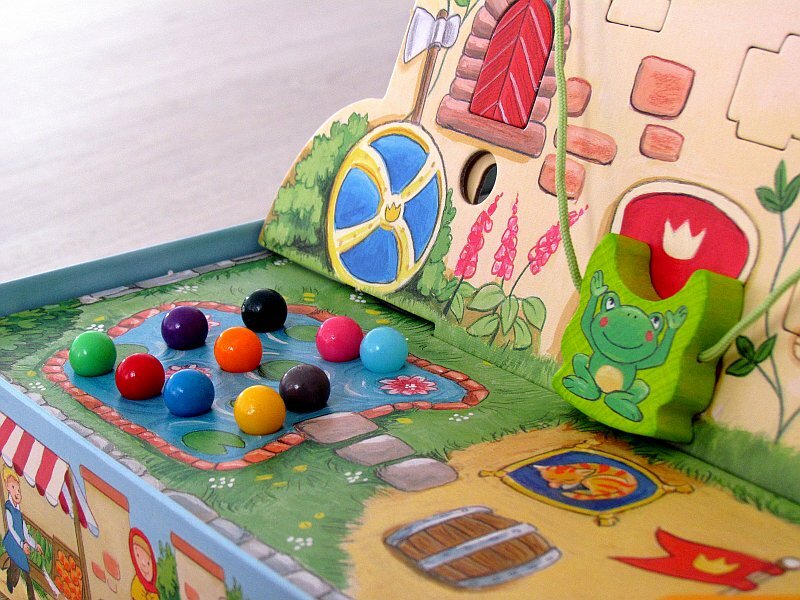 Even before, however, the players got some other components – tower boards, a set of portraits, dozens of cardboard windows, but mostly colored balls and the main character: wooden frog on two strings. 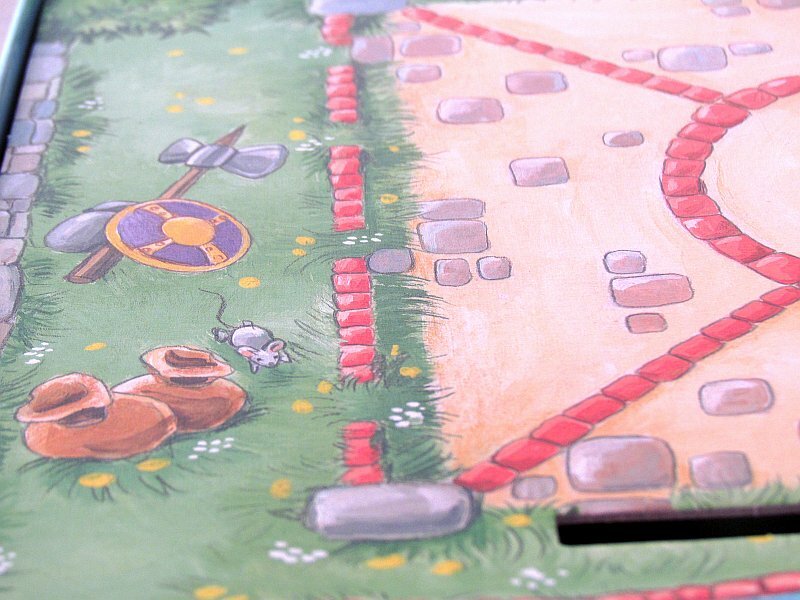 However, big boards come in two variants. 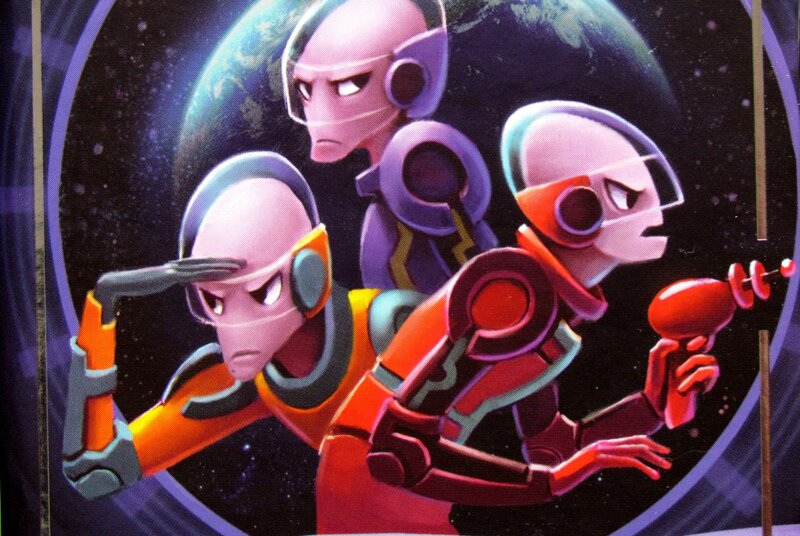 Players connect them together with attached pliers, which then remain in place and will have another important role. 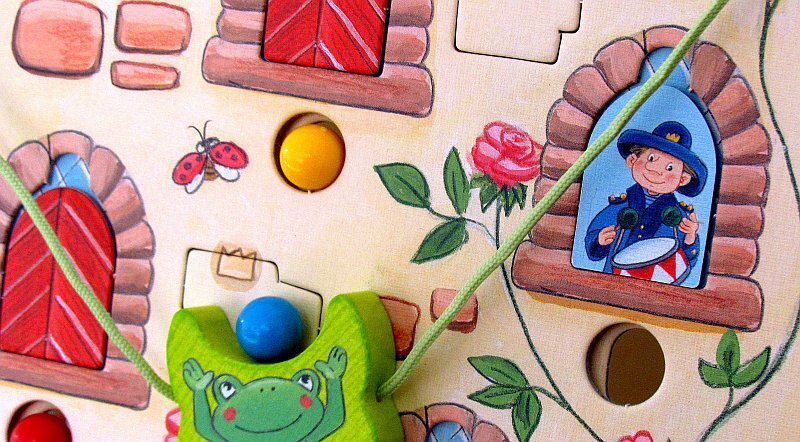 The whole building of the A-shaped tower will stand on the board and strings slip into the pliers, so the frog will remain hanging in the middle. To keep the cords from running back, players secure them with beads. All this will be done only before the first game, but the individual games also need some setup. 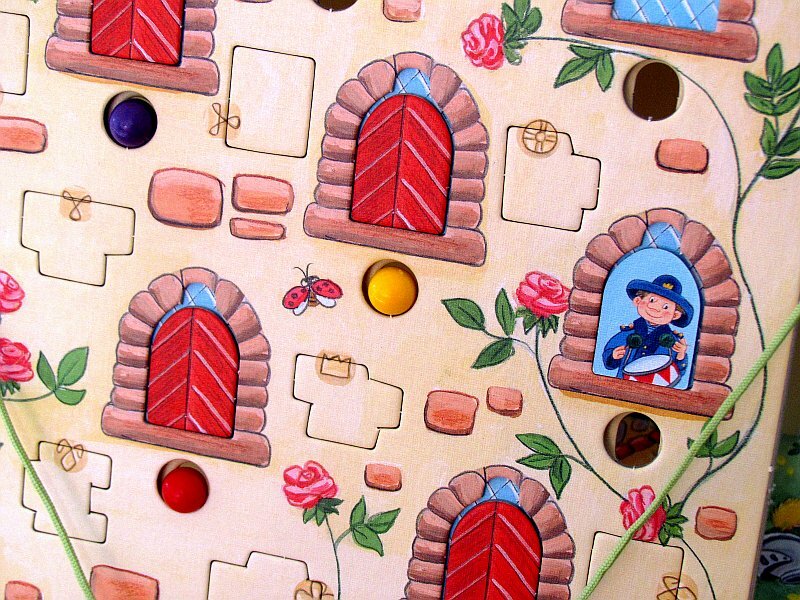 In the openings of the windows (which were previously pushed out), now players randomly push the shutters with the individual inhabitants of the castle. But the pictures are hidden inside and no one knows, who lives in which room. Only one window will remain free. Then the players mix the whole set of eighteen portraits cards and create a drawing pile. They place colorful balls into the prepared cutouts in the base. There is nine of them. Each round is divided into two stages. 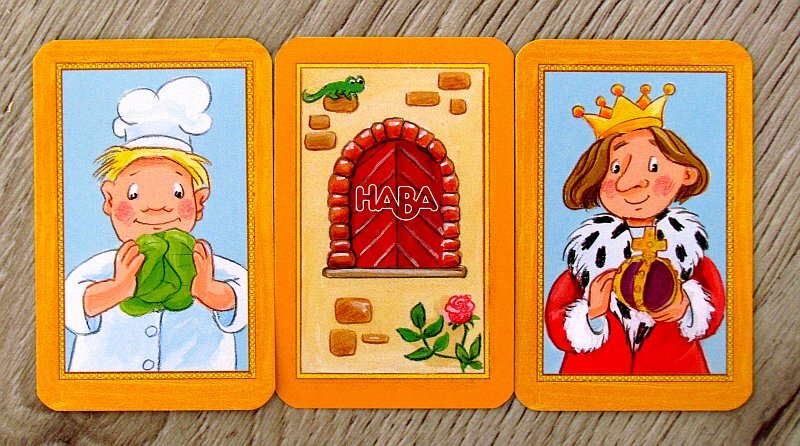 First, the player reveals top card of the deck and at the same time determines the inhabitants of the castle, that dropped its ball. The frog now has to take the valuable item back and players will be happy to help. But to do anything at all, they must first find the character. All players alternate in revealing, whats behing the window. If the reveal wrong character, window shutter must be removed and moved to an open window. Searching continues until someone can find the right character. A successful searcher will earn a chance to try to bring the round pear back to its owner first. He places the restless ball on the curved back of the frog and holds one end of the string in each hand. Pulling one end and then the other, he can maneuver with the figure of the frog and climb it along the stone wall not only up, but also to the sides. One of his rivals, however, turns the plastic hourglass at the same time and measures the time. After the last grain of sand has elapsed, the frog has lost its power and has to return to the ground. Its next player’s turn. 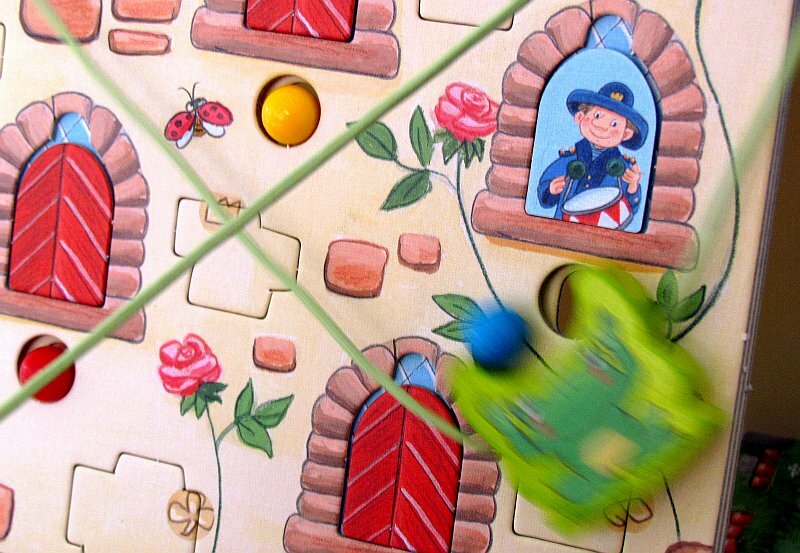 Similarly, player is unsuccessful even if the ball pops out into another window or the ball falls from the back of the frog back down to the ground. 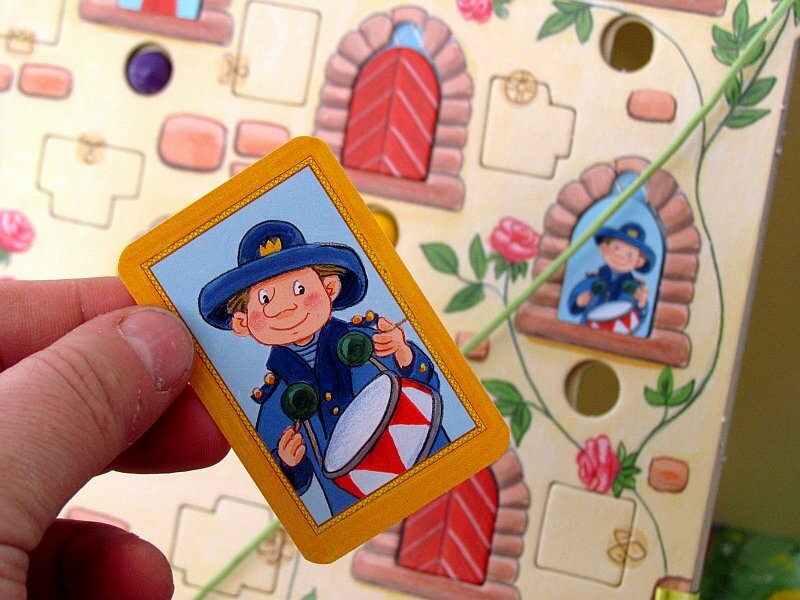 However, if the ball ends in the hole under the correct window, the player gets a portrait card for himself as a sign of the favor given from its occupant. The game ends after the last card is completed. The winner is the one, who delivered the most beads. 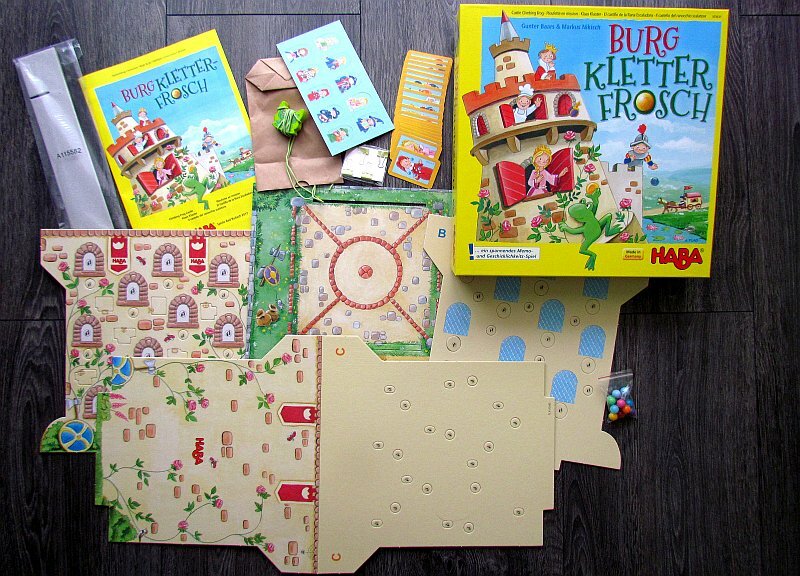 Burg Kletterfrosch is another great-looking children game. 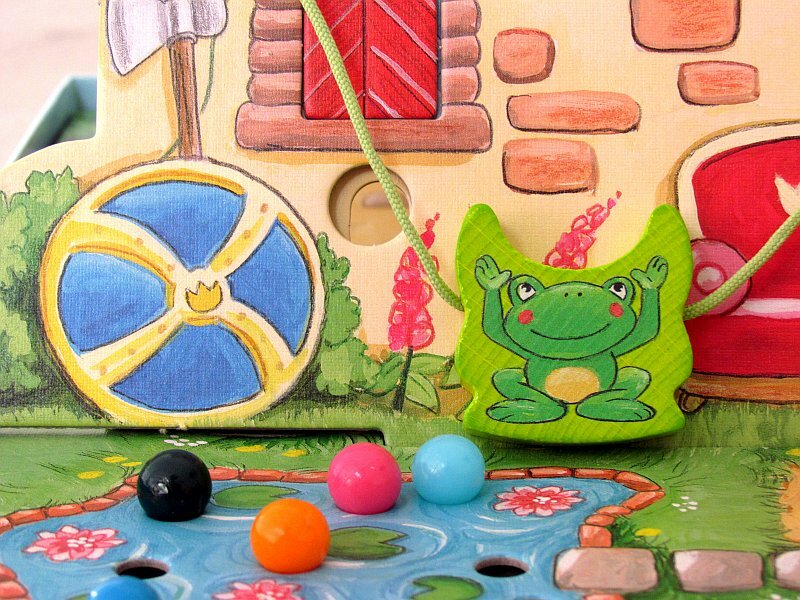 Even this time, the overall currency of this box is the whole experience, because the swing of the frog’s wooden figurine on the string is simply amazing for children. And this time (similar to Drachenturm), the skill part of the game is expanded by a memory element. Even so, first phase of each round may be a little bit harder to do. Players fight in luck and chance only to find someone, who can first try to place a ball. 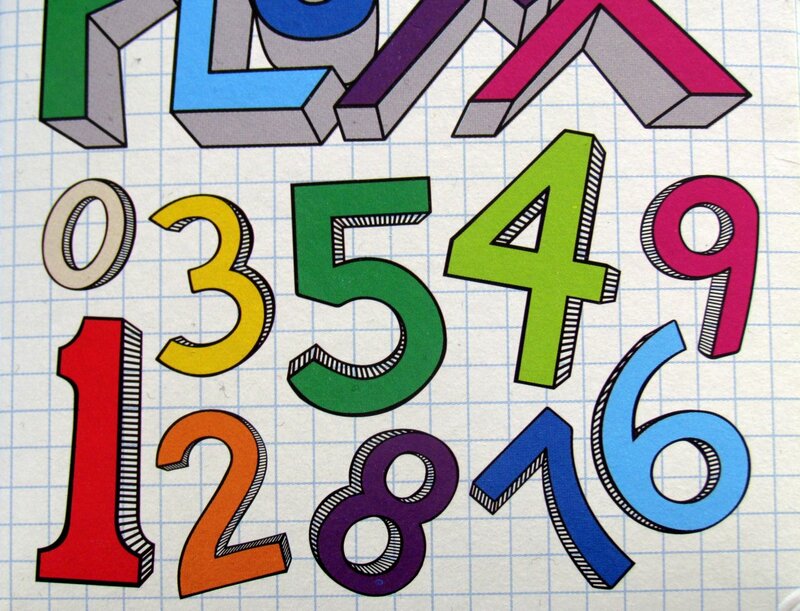 But this advantage can be very important, because when someone is smart, he can be first every time. But as we have already suggested, he needs luck to do that. At least in the first rounds. But once the characters start to reveal themselves, then the opponents can remember their location and make use of it for their benefit. All this combined is a fulfilled dream for children. They will enjoy the second part the most. Balancing the figurine and especially its shifting to the sides is very exciting and requires clever fingers. In addition to rivalry, there is also a variant, in which players can collaborate. And here the authors caught the chance by its roots. In each round, two players act together and they have to share the string, on which the frog moves. They have to communicate very intensively together, which brings a great experience for all the children involved. Because everything is really simple, there is no problem to involve preschool children as well. Memory is an element, that is accessible to all. 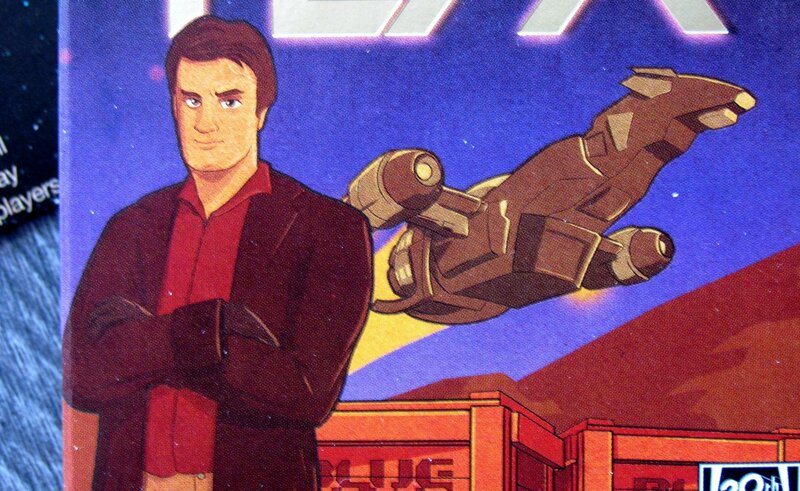 The length of the game itself depends on how fast the players are able to find the characters, but it will never be too long and will end in thirty minutes tops. An important weapon is processing. Everything is very fairy taleish, but precisely processed. 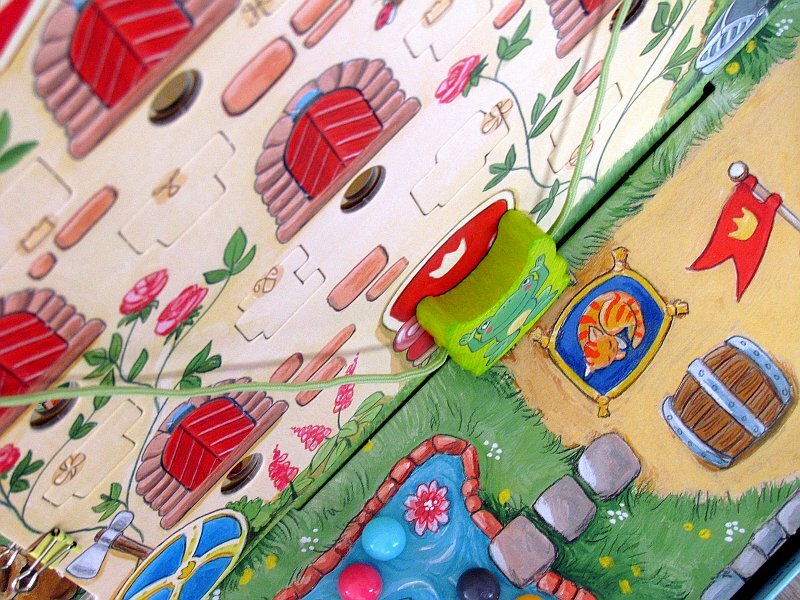 Players have a place on the board for all components, the tower is solid, and the frog hooks are greatly invented. In addition, there are two variants of the standing board, which slightly increases variability. But this is mainly due to the random layout of the characters in the windows. 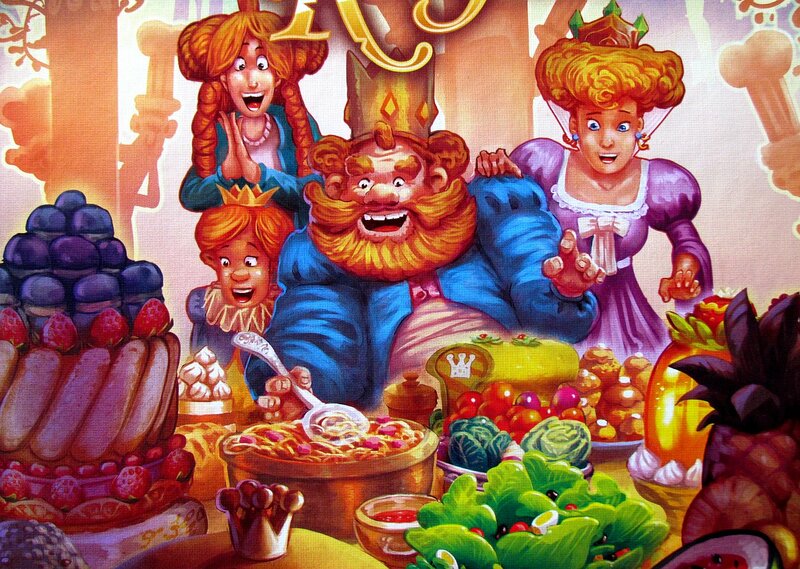 Burg Kletterfrosch is a clearly lined up two phase game. Although it looks different, memory plays the main role. While a player’s fun may be spoiled, if he is not good at pulling the string, he can not get the delivery without memory. 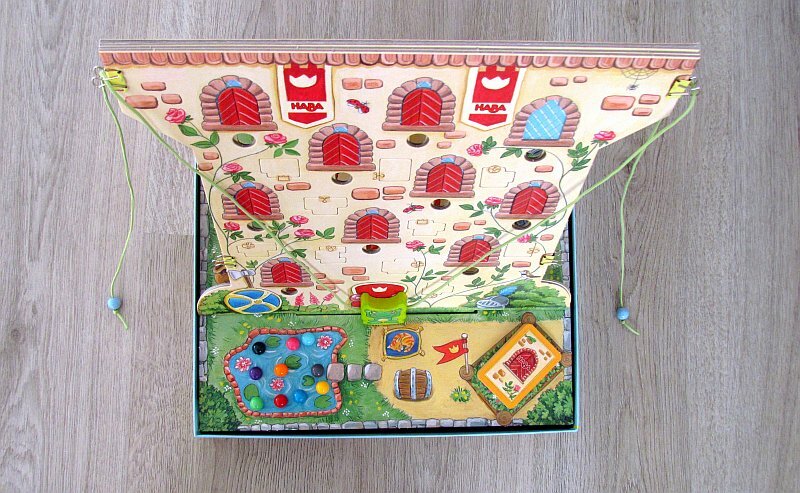 Burg Kletterfrosch is a great children’s game.